What's the deal with gift cards on Bunz? It's very difficult to verify the amount on a gift card. There have been numerous cases in which unscrupulous Bunz have passed off high-value gift cards that turned out to have $0 on them. Avoid this by either insisting on meeting in the location where they are bought/can be verified on the spot, or check on your phone when you connect with the trader. Giftcards can be used online without the physical card. Oftentimes, GC credit can be transferred to an online account immediately after the trade is completed. Be cautious of this, but also use this to your advantage and check your cards on the spot before completing the trade. If you are strictly against the use of gift cards or anything else on Bunz it is helpful to mention this in your bio. You can also indicate that you are ISO #truetrades, which is a principal in which you only trade for/accept things people have in their profile or in hand already. Have thoughts you want to share on gift cards?  Feel free to make a post on Bunz or send an email to hello@bunz.com.